Delhi Dynamos (DDFC) Team Squad Players List, Images HD Wallpapers Photo in ISL 2017- Delhi Dynamos is the team of Indian Super League. The ownership of this team is with DEN Networks which is based in Delhi and it is one of the leading cable distribution companies in India. On 13th April 2014, DNS Networks had won the bidding for Delhi franchise. 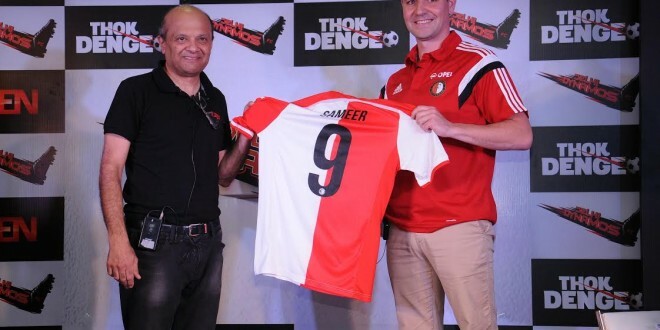 The team had an alliance with Dutch club Feyenoord. The marquee player-manager for this team is Roberto Carlos. The technical Staff of this team is Roberto Carlos, Raman Vijayan, Shakti Chauhan, Vaibhav Manchanda, Walmir Cruz, Leandro Franco and Varun Ravi. The team started their campaign on 14 October 2014 against Pune. The logo of Delhi Dynamos team is quite interesting and royal. Lion is the logo of this team. The shape of the lion is crafted in the form of a shield. This logo has been designed to define power, aggression, and passion. Red and blue are the colors used in the crest. Red defines the strength, determination, and desire. However, blue defines calmness and responsibility. There is also the use of saffron and green on each side that defines the spirit of India. In 2014, Delhi Dynamos played his first match against Pune at the Jawaharlal Nehru Stadium in New Delhi. This match was drawn with a 0-0 score. They did not experience a good start in 2014 ISL. They were struggling in the 9th round. The team later wriggled out of the situation and finished at the 5th position, with three wins and two draws. Delhi was not able to qualify for semifinals falling as it shorted by one point. 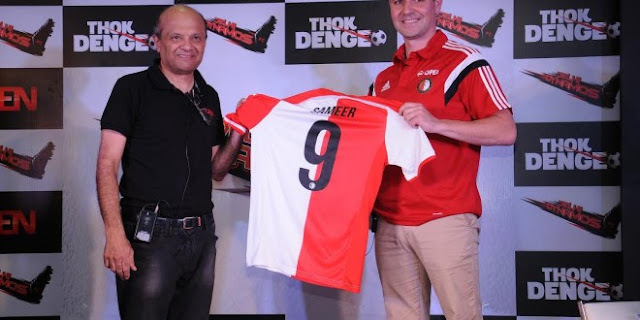 Delhi Dynamos changes with the Kit Sponsors; SpiceJet is the new kit sponsors replacing FreeCharge. Puma manufactures the new kit replacing the Lotto’s kit of last season. If we talk about 2017 ISL, the team is looking forward to getting a good start. The captain of this team is John Arne Riise. They have added more firepower to their squad in Florent Malouda, Richard Gadze, and Adil Nabi. The other players are Subhasish Roy Chowdhury, Serginho Greene, Roberto Carlos, Chicão, Anwar Ali, Vinicius, Hans Mulder, Robin Singh, Adil Nabi, Francis Fernandes, Gunashekar Vignesh and Toni Doblas. If you are among those football players who want to see the performance of Delhi Dynamos, all that you need to do is to get hooked on our site.